It’s National Pet Month, and we couldn’t be more excited! Cats, dogs, frogs, turtles, iguanas, goldfish, and yes, even snakes, are honored this May. While families are encouraged to spoil their pets this month, the aim is to also support pet adoption and increase public awareness of the benefits of owning a pet. But what about families who are just beginning the conversation about pet adoption and ownership? Bringing a pet into the home is a huge responsibility for both parents and kids and should not be taken lightly. According to the Humane Society of the United States, fully one-fifth of all dogs adopted from shelters are returned within a few months. Those same dogs have a severely reduced chance of being adopted out again before their time in the shelter simply runs out. To reduce the chance of this happening in your family, Dr. Rachel Malamed, veterinarian and clinical animal behaviorist, suggests “starter pets” for inexperienced families, such as goldfish or geckos. These are low maintenance pets and are a solid choice for small children with little to no prior pet experience. Most families consider a puppy or kitten as a first pet option, however it’s best to weigh the pros and cons before making your final selection. 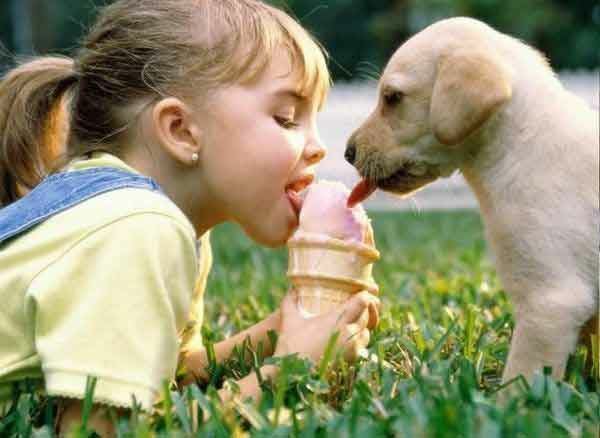 Young animals, particularly puppies, experience a socialization period in which a number of different stimuli, including children, influence the animal’s behavior. “Socialization must be done in a positive, gradual and controlled manner without overwhelming the pet. It should be fun, not forced,” says Dr. Malamed. Dr. Malamed also suggests parents teach their children about safety tips when introducing a new pet such as a dog into the family. “Never leave a dog unattended with an infant or young child, even for a moment. Avoid startling, teasing or disciplining the animal, and have them avoid hugging or kissing them.” Parents are urged to observe the animal’s body language as to detect any warning signs that the animal may be threatened or uncomfortable around young children. “Parents should not have the expectation that their children will take on primary care responsibilities and the goal of teaching responsibility should not be the sole reason for acquiring a pet,” Dr. Malamed states. Although it’s never too early to teach children about safe animal interactions and responsibility, Dr. Malamed suggests parents speak with their veterinarian about any pet ownership concerns and consider pre-adoption counseling to determine the right animal based on lifestyle and degree of commitment. Dr. Rachel Malamed is a veterinarian and a Diplomate of the American College of Veterinary Behaviorists (ACVB), who currently runs a private practice in Los Angeles dedicated exclusively to clinical behavioral medicine. She received her veterinary degrees from the Ontario Veterinary College in 2005, and finished a three-year behavioral medicine residency at the University of California-Davis School of Veterinary Medicine and became board certified by the ACVB in 2010. Dr. Rachel is nationally recognized as a lecturer on veterinary behavioral issues and is a member of the American Veterinary Society of Animal Behavior (AVSAB) Speaker’s Bureau. She has also co-authored a book chapter on canine aggression. Dr. Rachel opened her practice in May of 2012.